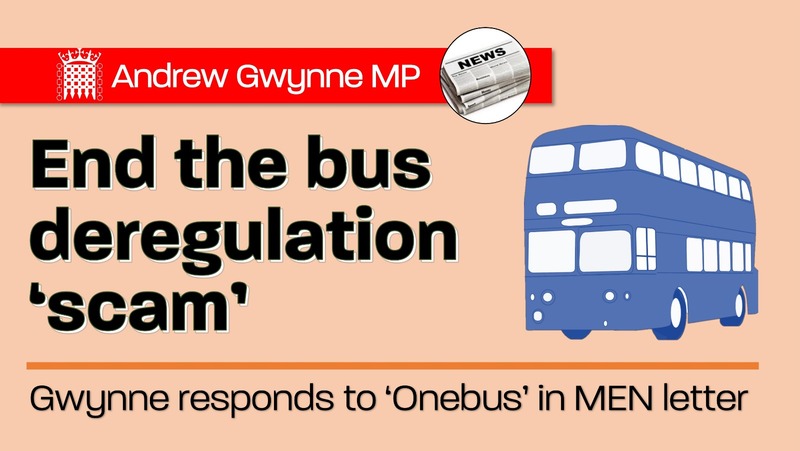 Denton and Reddish MP, Andrew Gwynne, has written in the Manchester Evening News Viewpoints Page, in order to respond to a recent reply from the Chief Executive of ‘Onebus’ in respect of bus reform in Greater Manchester. See below for a copy of the letter. 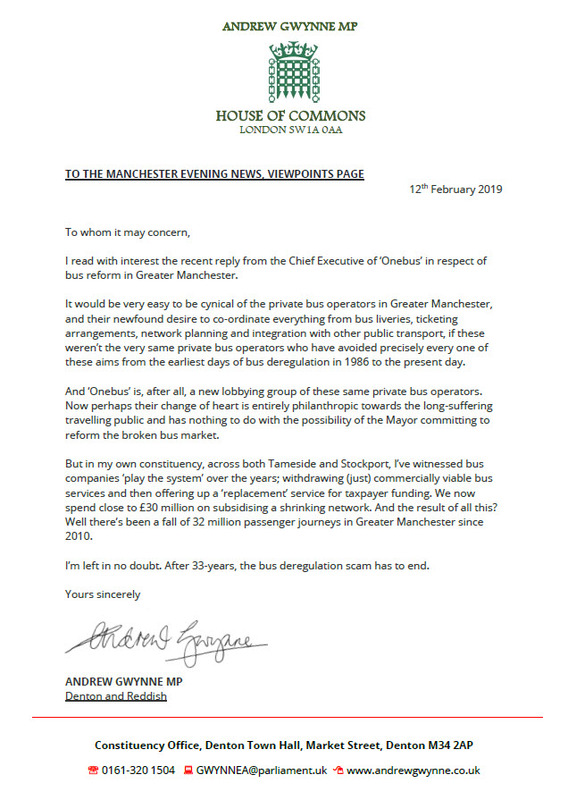 Excellent letter comrade gwynne,, seriously it needs to be taken back as a wholee an regulated by gmpte .